“I can’t tell my therapist everything…” I have heard this from some friends and clients. It might be one of the reasons why people struggle to reach out to talk to someone. There are also those that go from therapist to therapist, trying to figure out why they keep doing the things they do or why the same problems keep reoccurring. I have to tell you, honesty and transparency goes a long way in any relationship. I understand that it can be difficult to share your thoughts and feelings with a complete stranger. Couples who have been married for 25 years sometimes do not share as much as they would to each other as they would to a therapist. However, it also comes down to the type of therapist you see and how they practice. Some therapists work from a solution focused point of view, thus only focusing on the problem at hand. They help the individual resolve the problem and treatment is complete. However, there are therapists like myself who work from a different perspective. Imagine your life is a book, from chapter 1 to 10 and your therapist is the reader. When you come to therapy, you only intend on sharing chapter 3 and 7. This makes it very difficult for the reader to understand what is going on in the book. The reader does not know all the characters, the storyline or the twists and turns that have occurred up until now. The reader only has chapter 3 and 7 to piece together the book, however we all know when we do not have all the pieces of a puzzle, it is incomplete. So how does one allow their therapist to read the entire book? Well it comes down to several things. One, your relationship with your therapist. If you do not feel a connection with your therapist or feel that you always have to wear a mask when seeing them, you might want to rethink how useful your time with them is. As I state on my website, the therapeutic relationship is essentially the foundation of a house, without a foundation the house falls down. Second, is trust. 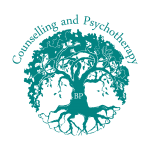 Therapists are bound by confidentiality and only under certain circumstances confidentiality is broken. With that being said, it is still not enough for someone to trust their therapist. I believe shame and judgement is an element that comes into play. Some people believe that their therapist might judge them if they are completely honest. I for one do not believe counsellors are in this field to judge others, as some people are coming to therapy at their weakest point. If you feel you are being judged, then you need to take a step back and decide how you want to address this with your therapist, or are these internal feelings that you have, because you are having feelings of shame. Regardless of what it is, this is where number three comes in, communication. Communication might be something that is overlooked in therapy, however we all know communication is verbal and nonverbal. Someone might be presenting as happy but they might have their arms crossed and not making eye contact. The verbal and non verbal are clashing here and a good therapist would pick this out and hopefully address it. Listening and talking is a two way street. I hope this was somewhat helpful for those that are ambivalent in clicking the contact me button or picking up the phone. Just remember, this is your story and you are the writer, we therapists are there to ensure that you continue writing the next chapter.